Normally installing and allowing the proxy server setting is essential for the working and accurate accomplishment of the tasks. However in many other cases the users are advised to bypass the proxy setting and can configure some other settings on their system and browser. 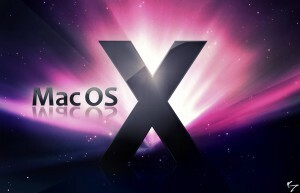 The most efficient configuration in this regard is mentioned to be the Mac OS X configuration. With the help of this setting and employment on the system, one can be saved from applying the proxy settings for any specific IP address. This step is extremely helpful especially for the specific hosts and domains which cannot be accessed by means of ordinary proxy settings. Usually while connecting the computer to a local network, there is certain level of protection by means of firewall. This can be done because the protection is required from the local network. Furthermore the user may also need to specify and identify the proxy servers which have been already installed on the browsers so as to approach some of the internet sites. Basically the proxy server setting on the computer is done according to the local networking. This kind of proxy setting acts as the mediator between local computer systems and internet. There are many other benefits as well like provision of security, managing an administrative control and enabling the content caching. In many other cases the bypassing of proxy settings can also be accomplished for certain specific computers. This can also be employed in case of some specific domains. This will help out in addition of the domains and internet segments along with the address of the host. There are certain variations which are required to be manipulated in terms of the IP address. In case of having the numerical IP address, it is easy to bypass the proxy setting. Therefore when the internet is connected to host, it will resolve the address.